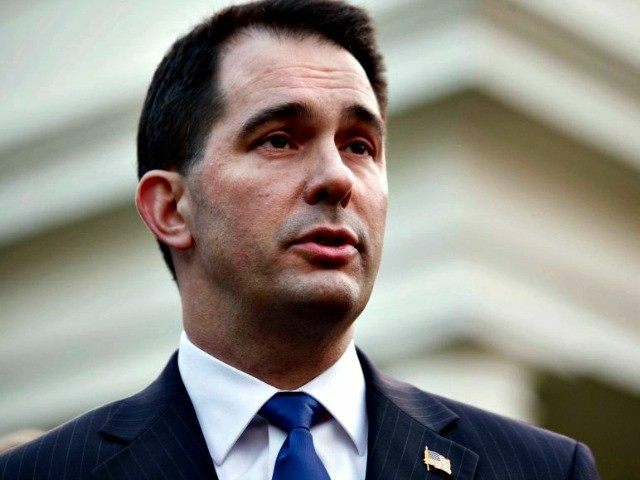 14 Aug 2015 Washington D.C.
On Thursday evening’s program of the David Webb Show on SiriusXM radio, Governor Scott Walker continued to lay out popular reforms to control exploding immigration. There should be no debate and no discussion about sanctuary cities in this country. The law should be clear– it is the federal law when it comes to immigration… For goodness sakes, we’re seeing the real– the very real– public safety risk for what happens when you have people who commit multiple, multiple criminal offenses. They are a public safety risk to anyone in this country. It’s beyond me why we wouldn’t be enforcing the law. The biggest frustration that voters have from Republicans and Democrats alike is there’s no leadership in Washington– they’re not listening to the American people, they’re not getting things done for us. [I am] going to lay out in the coming days, big, bold reforms. People are hungry for that kind of leadership again. Indeed, immigration represents an issue wherein Republican leadership and donors are deeply disconnected from the desires of Republican voters. For instance, with regards to sanctuary cities, polls show Americans overwhelmingly oppose them and wish to see them defunded by a remarkable 2-to-1 margin. Yet this year–despite the public’s outrage over just a few of the recent killings caused by sanctuary city policies–the Republican-led Senate adjourned for its annual August recess without taking any action to put an end to sanctuary cities. Walker told listeners that during his time as Governor, he did not shy away from taking on members of his own party. In our state, we didn’t just take on the big-government union boss, we didn’t just take on the Democrats, in many ways we had our own fight–our own battle–with even our own party because there were a lot of people in the legislature when I first came in when I was running who were not all that interested in making big bold measure reforms. Walker’s resolve to put an end to sanctuary cities distinguishes him from some of his fellow candidates, who are favored by the Republican donor class. For instance, Sen. Marco Rubio–during his time in the Florida State legislature–allowed a bill to die that would have blocked sanctuary cities. As a result, Miami is now one of the biggest sanctuary cities in the country. The Gang of Eight immigration bill, which Rubio co-authored and ushered through the Senate, similarly enabled the continued existence of sanctuary cities. This declaration from Walker is crucial for a number of reasons. First, because the President’s executive amnesty for DREAMers–essentially a birthright citizenship for the foreign-born–is in full effect to this day. Second, because the putative establishment pick, Senator Marco Rubio, conducted a Spanish-language interview only a few months ago in which he said he would leave the President’s executive DREAMer amnesty in place until some form of legislative action replaced it–i.e. a legislated amnesty. Heck, I was in Israel earlier this year– they put up a 500 mile fence, they have it staffed, they use technology to keep it secure. In that country, they’ve seen a reduction in terrorist acts of greater then 90 percent. If they can do it in Israel, there’s no reason why America–a much greater country–can’t get to the point where they can fundamentally secure our border.